Water – it covers 71% of the earth, makes up 61% of your body weight, and is the essential ingredient in your garden’s life. 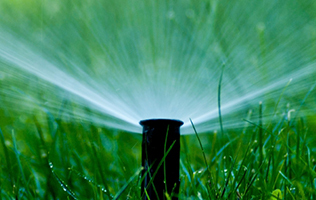 The Bay Area is in a drought, so without doubt, proper irrigation is the most vital aspect of garden maintenance. Too little water, and you have withering. Too much, and the soil over saturates, creating wasteful, toxic runoff. Our goal is to make you “Bay Friendly” with the perfect balance. We are water management experts and are guided by best practices according to the State of California’s Office of Water Use Efficiency. Learn about these practices from WEL (Water Efficient Landscapes). We monitor your garden in response to weather and seasonal changes to fine-tune your irrigation system and maintain proper watering without creating wasteful runoff. By doing so, you’ve just done your part to make sure that no fertilizer runoff enters the bay or soaks into the underground water table. This prevents drinking-water contamination and the slow poisoning of sea life. We install and monitor your watering systems to maximize their efficiency and minimize natural breakdown due to time, soil erosion, and weathering. Let us work with you to tailor the perfect plan to meet your goals and budget.